If you are planning to travel from the Cardiff airport it is necessary that you know about the Cardiff airport parking services. Cardiff car parking consists of many different options that you can choose from depending on the kind of services that you need and the amount of price that you are willing to pay for it. You need to be aware of all your options and the price of each package when you decide parking at Cardiff airport. The car park at Cardiff Airport is divided into offsite and onsite parking where on site parking is within the premises of the airport and the offsite parking is outside of the premises. Simply park and Fly is here to make sure that you get the best services possible and that you are able to enjoy the services on a lower cost. We believe that cheap Cardiff airport parking is the right of every customer that comes to us and we strive to fulfill on our promise. Do you will experience the same quality as you have come to expect of the top airport parking service providers. People who do not want to spend a lot of money on extravagant packages can choose the park and fly Cardiff airport service. You will essentially not be able to car park at Cardiff airport premises but outside of the airport on an off site parking area. Though the park and fly Cardiff airport service may seem like an inconvenient option, you may be able to save a lot of money if you know the service very well. The thought of having to walk back from the parking area to the terminal might scare some of the passengers but in reality there is a bus or shuttle service that runs throughout the day on a schedule which you can use on your way back to the terminal. Not to forget the satisfaction of parking your car yourself is unmatched. One of the most convenient options that you can choose from is the Cardiff airport meet and greet service. You do not even have to park your car yourself once you get to the airport on departure day, an assigned Chauffeur your will park your car for you. What’s great about the Cardiff airport valet parking is that it provides you the convenience that no other service can provide you. No longer do you have to take that long walk back from the parking spot to the terminal. There are additional advantages to the Cardiff airport meet and greet parking as well, you get to spend time with your family and friends while the tedious task of parking your car at its position is being done for you. Sometimes when you go to park your car your family or group of friends may scatter at the airport. The meet and greet service make sure that this is not the case and that none of your family members or friend is lost while it is boarding time. You can also rest assured that when you sign up for the Cardiff airport valet parking service that your car will be securely parked at its spot by a professional chauffeur. Simply Park and Fly is one of the cheapest at meet and greet Cardiff airport service and we will make sure that you get the services that you desire. Some people do not want to waste their time going to the parking spot and having to walk back to the terminal. This is why people with such needs would prefer the onsite parking at Cardiff airport is this parking option provides the ability to be able to park within the airport premises. There is a sort of mental satisfaction knowing that your car is within the walls of the airport and not outside on and off site parking spot. The service is also preferred by those who want to save as much time as possible. You can avail cheap Cardiff Airport on site parking but you would need to be vigilant when booking your services because these parking spots get filled very quickly. It is best recommended that you book your parking spot for onsite parking a month prior to your departure date. Cardiff airport parking will have the secure environment that your car deserves with 24 hours surveillance. Though as suggested before it would be wise to book your services in advance if you want to avail onsite Cardiff car parking. Short stay car part is preferred by those who do not want to park there for a longer period of time. This option is usually needed for businessmen and people who are visiting another city on an official purpose. The short stay parking at Cardiff airport is a good option for those who do not want to sign up for the other services which last for a longer period of time and cost a lot more. Since your parking spot is located inside the airport premises you will be able to save some time by not having to walk from the terminal to the offsite parking area. This service is also suitable for those who have bookings on Airport hotels for some specific number of days and do not want to spend extra on their airport parking. You can also apply the meet and greet Cardiff airport service with the short stay parking if you are strictly travelling to get business done! As if being one of the cheapest at meet and greet Cardiff airport wasn’t enough, Simply Park and Fly also wants to provide you with more options so that you get to experience the luxury that every passenger deserves. Thus you can avail the Cardiff airport meet and greet service either on your departure or your arrival at the airport. With the flexibility you will be able to ensure Cardiff airport meet and greet parking without having to break the bank. This kind of service would also be essential for someone who is bringing in a VIP Guest or just wants to avoid the headache of parking your car just on your departure day. The parking area where your car will be parked insecure with 24 hour surveillance and security guards present throughout the day. While there are many parking options you can enjoy when parking at Cardiff airport, there are also additional services that you can enjoy as well. If you are hungry you can grab a meal at the restaurants present within the airport. These restaurants will vary in the type of food they offer ranging from fine dining to fast food, according to whatever you feel like having at the moment. Once you are done with your food you can visit the bar to consume from a list of your favorite spirits and relax while you wait for your boarding time. There are other shops available as well where you can buy gifts for your love ones specially a Duty Free shop where you can get a variety of products under one roof. 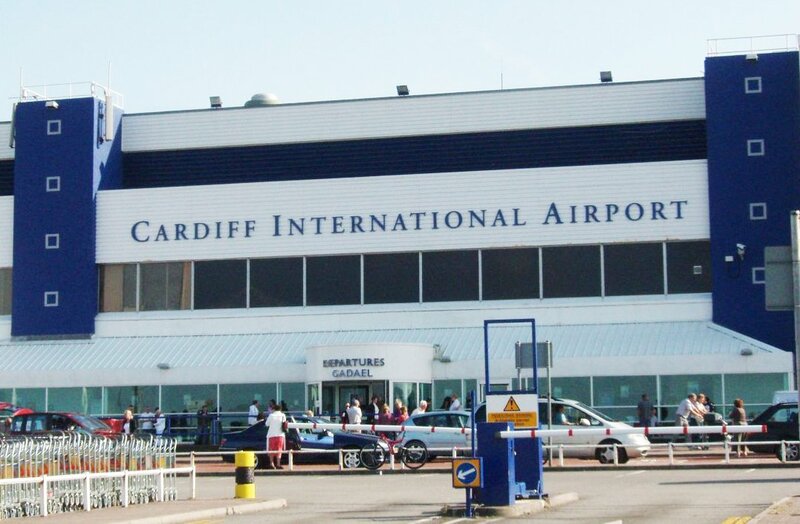 The Cardiff airport will have all the necessary services for a complete experience of every traveler.